Easy Forms has a tool that let you create themes that can be applied to a form to change their appearance, backgrounds, colors, text type, etc. 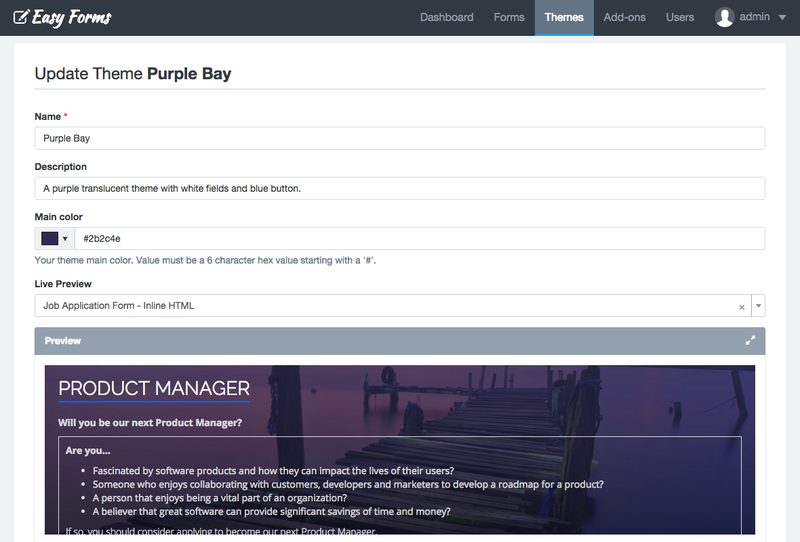 Created by: Defines the owner of this theme (Visible by Administrators only). Note: You can select a Form in the Live Preview field to see how the theme applies to your form while you are editing the CSS field. Note: When you delete a theme, all data related to it will be deleted too. This action cannot be undone. Go to Themes -> Actions -> Update. In the 'Created by' field, choose the username to which you want to transfer the theme. 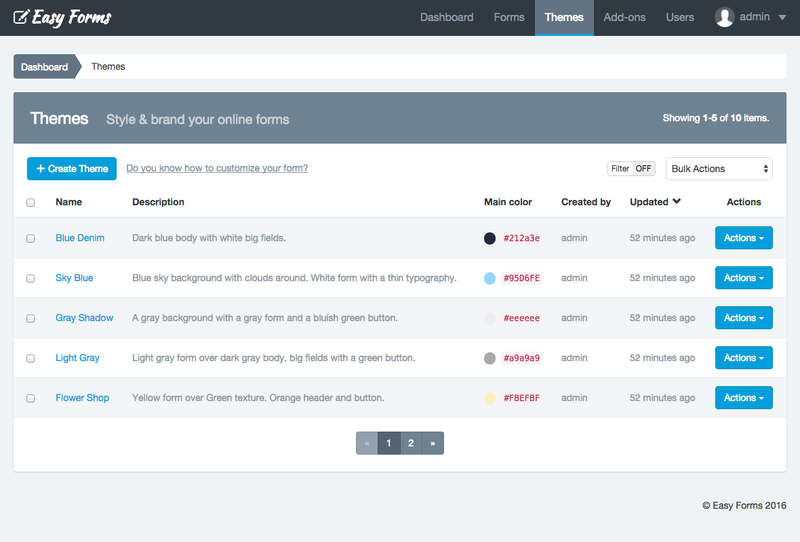 You can apply a theme to the form using the Form Manager. Go to this link to see the steps to take.